Today I am once again participating in the InspireINK blog hop and for this month our theme is "Fancy Folds". 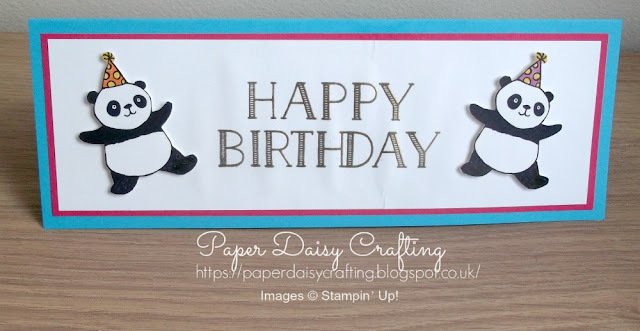 I hope you are joining me after admiring the beautiful project from Angelina. 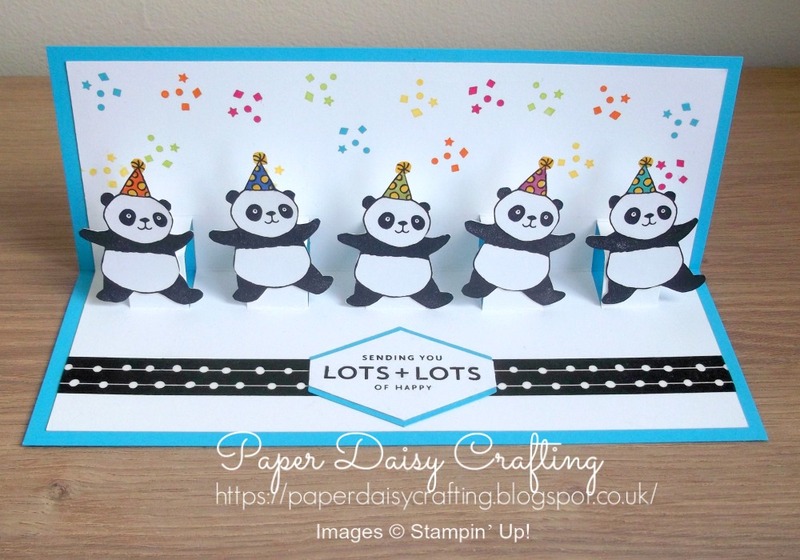 I decided to pull out my FREE Party Pandas set for my card today. This is the first time I've used this set and I have to say I LOVE it. And the fact that it was free makes it even better - (you too can get this set FREE with an order of £45). This is the front of my card - nothing very fancy about the folding there - just a lovely greeting and some gorgeous dancing pandas! 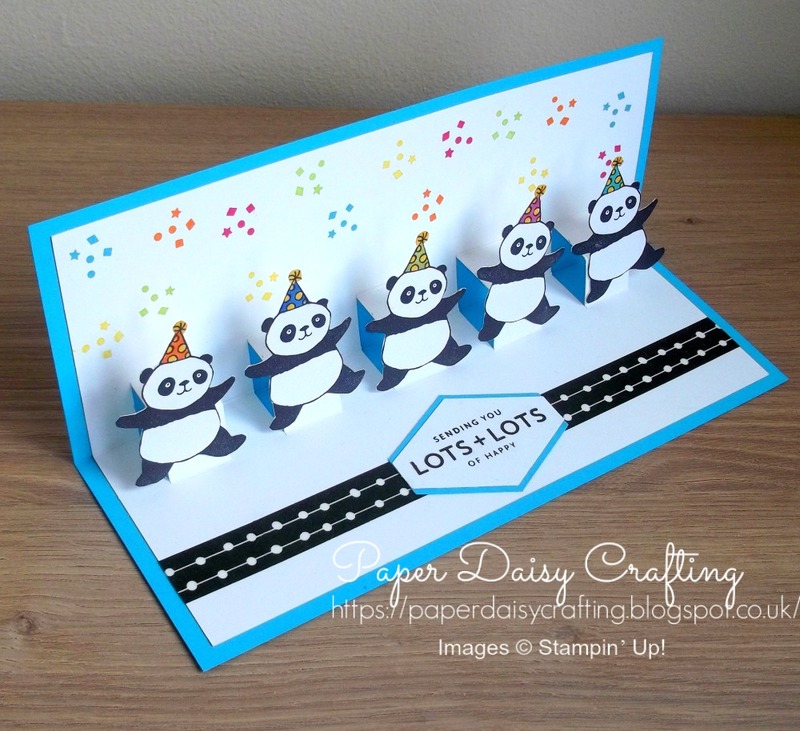 Coloured card blank - 6 1/4" x 8 1/2", score in half at 3 1/8"
Coloured panel - 2 3/4" x 8 1/4"
White panel - 2 1/2" x 8"
White pop up panel - 5 3/4" x 8", score in half at 2 7/8"
I stamped 7 pandas in Basic Black ink (this worked better than Memento which went a bit grey as it dried) and then fussy cut them. For the inside, I mounted each of them on a little "hinge" so that they pop out when the card is opened. I'll be posting a video on how I made the card over the next couple of days so make sure you come back to see that. You can take a look at my YouTube channel HERE. You can subscribe to my channel and if you click the little "bell" under any of the videos, you'll get a notification every time I post a new tutorial. Hope you've enjoyed today's project. 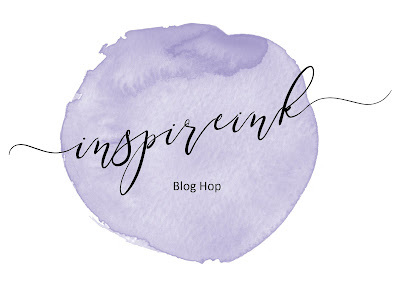 Now just click on "Next" to hop on to the next blog in our hop - by the lovely Dee.